I've been crocheting since I was a little girl. Since then I've designed for magazines and offer free patterns at my site. 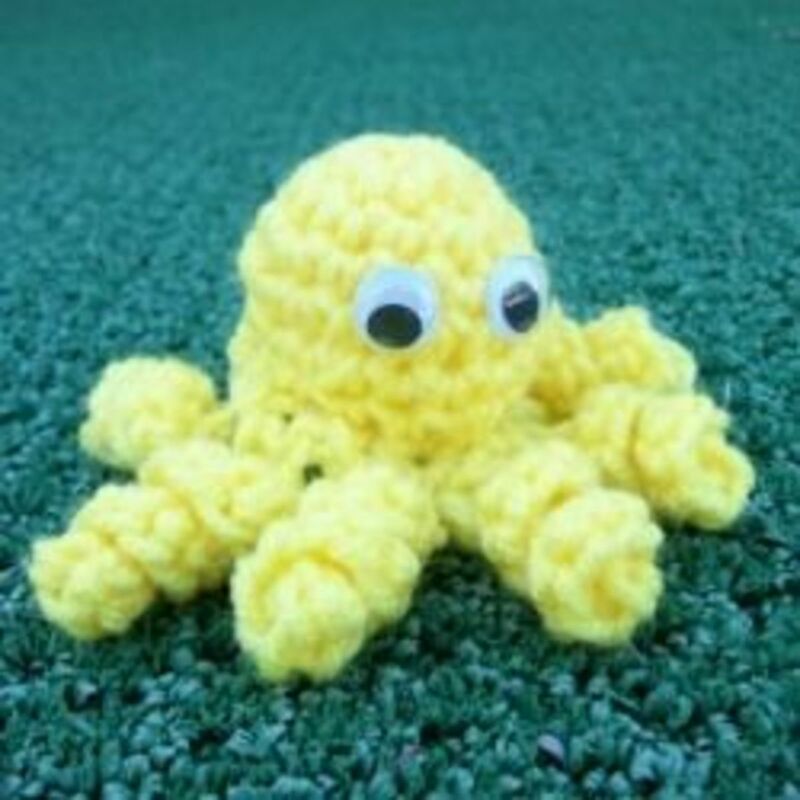 Here you'll find a long list of links for free crochet children's hats. You'll not only find them for winter, but summer ones too. A few would even be appropriate for Halloween. Find them with ear flaps, animal hats and bonnets. Crochet some extra ones for charity. 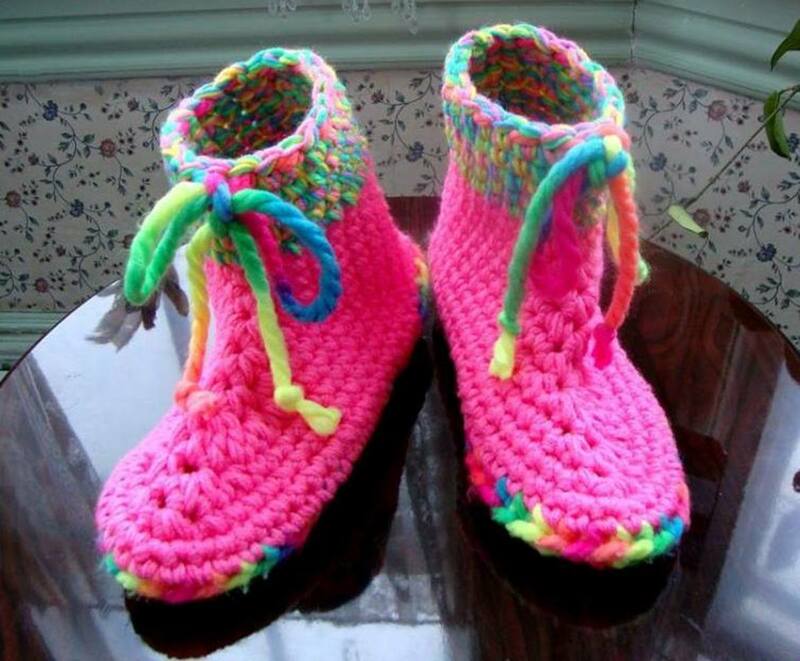 You can easily crochet one in an evening. Just click on the blue titles and it will take you to the free patterns. Ava Cap by Hooked on Crochet - Caron Simply Soft yarn was used to design these caps, but any worsted weight yarn would work well. These hats are created with a simple pattern and are quick to crochet. 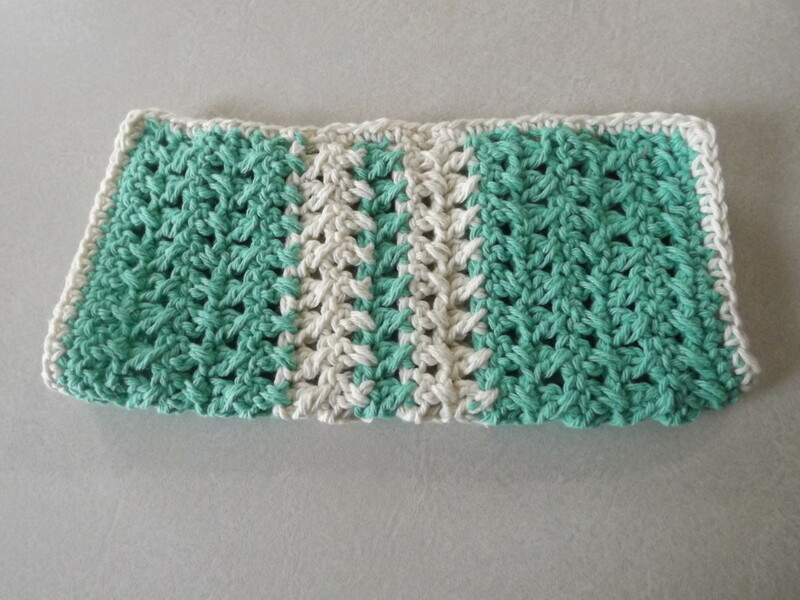 The pattern is crocheted in the round and uses simple double crochet stitches. She added a flower on one, a ribbon on another etc to make them extra nice. Baby Bonnet and Hat Patterns - Here you'll find a long list of free baby hat and bonnet patterns from all over the web. A few are antique and vintage and the others are for more modern hats. Included is a monkey hat, a cowboy hat, hats with ear flaps and more. Bev's Bear Beanie by Bev's Country Cottage - The cute hat fits ages 4-8. It is crocheted with worsted weight yarn and a size G or H hook. If you know how to crochet in the round, this hat is extra easy. 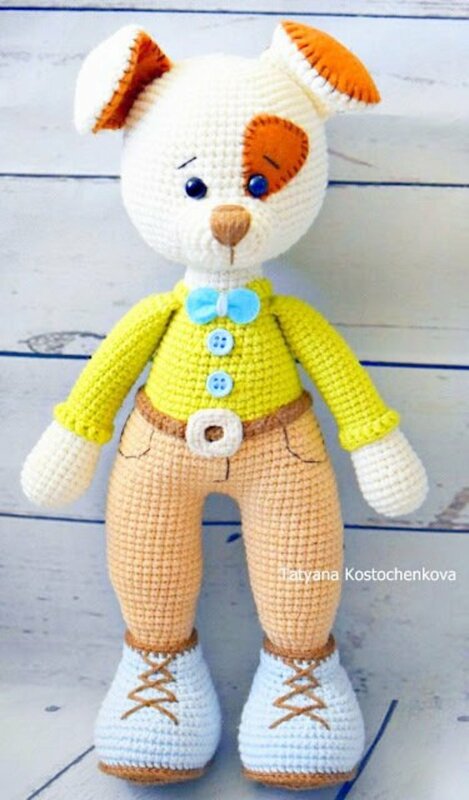 The face and ears are crocheted as separate pieces. 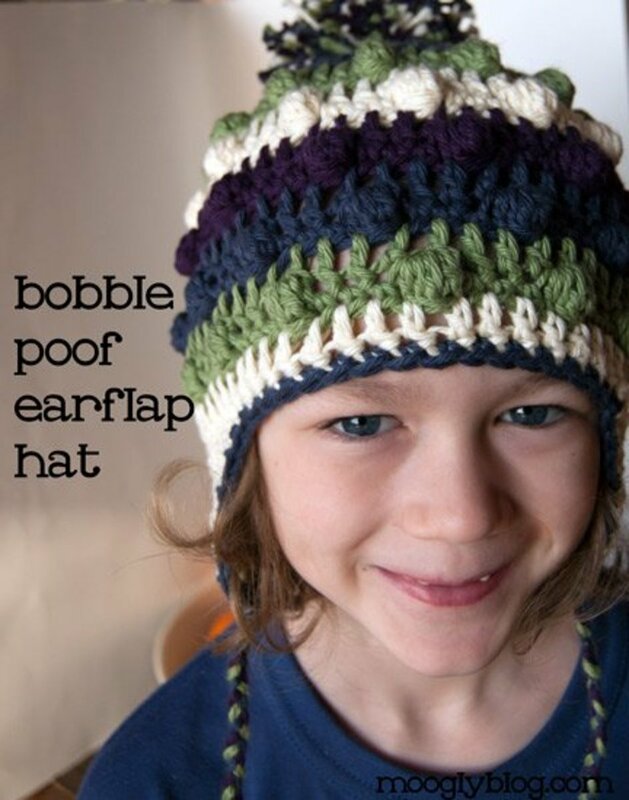 Bobble Earflap Hat - This pretty pattern includes both adult and children. You'll need 4 different colors of worsted weight yarn and a size I hook to complete the project. Boys Floppy Brimmed Army - Cats-Rockin-Crochet Fibre Artist - This looks like the real thing. Crochet this hat for any boy that likes to play army. You'll need light worsted weight or sports weight yarn. You'll also need a size G hook. The hat will fit ages 2-10. 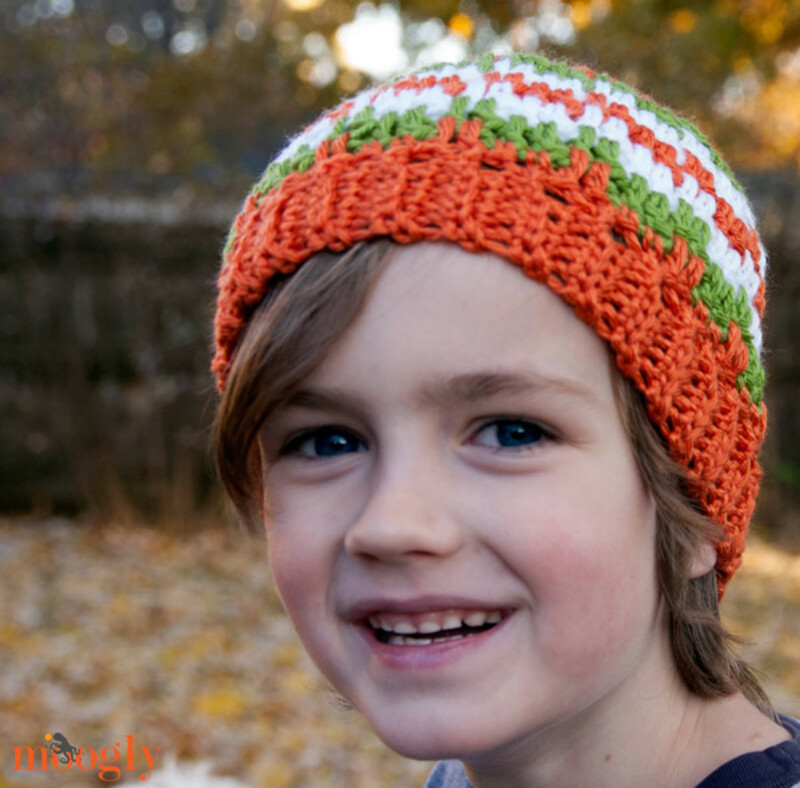 Delight a young boy and crochet this hat for him. Caps in Any Size by Crochenit - This is a simple sock hat pattern with instructions to make the hat in any size you'd like. The hat is crocheted working in the back loop. She has several illustrations to help you along the way. Worsted weight yarn was used in this project. Once you get the hang of these hats, which is simple, you can crochet a hat for anyone. Children's Hat and Scarf Set With Cars - This cute set is offered by Patterns to Crochet. The cars are as cute and can be.The pattern is crocheted with worsted weight yarn. Crochet Crown by Moonlight Knitter - This isn't a hat, but a crown for a little princess's head. The project is quick and easy to crochet and takes just a small amount of yarn. A young girl would love to have one of these. You could also use it for part of a princess Halloween costume. Fun Caps for Kids by Favecrafts - Bernat Handicrafter Cotton was used to create this hat. The pattern is offered in both an adult and toddler version. The hat is a simple version of a beanie and easy to crochet. 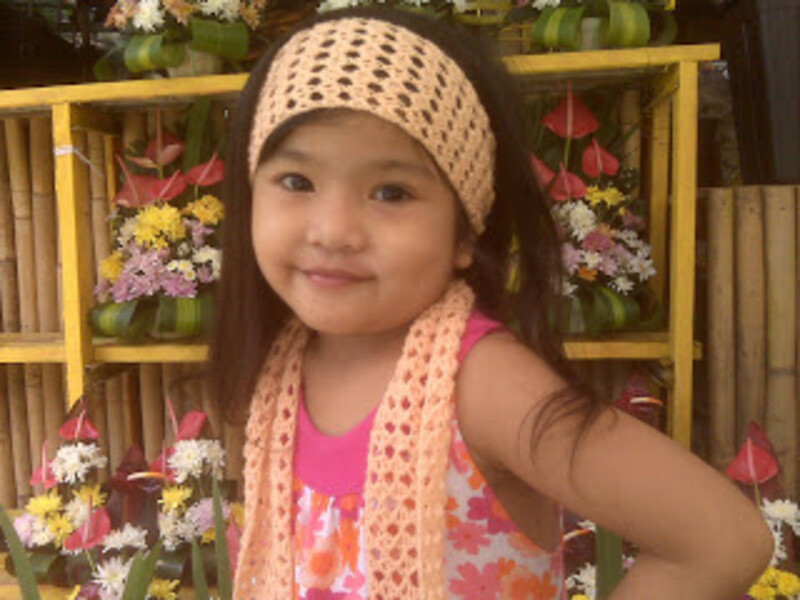 Girls by Patterns to Crochet - A pretty flower is added to both the hat and scarf to make them delightful for any little girl to wear. Granny Square - Crochet Sal - You'll need 3 colors of worsted weight yarn and a size G hook. This is a pretty hat for a girl. It has a brim too. Headband with Matching Scarf - Try a new stitch. 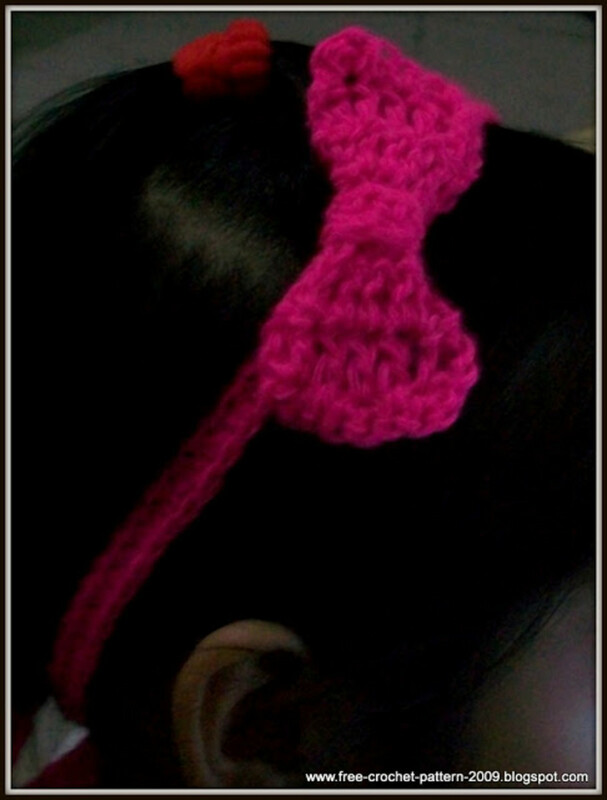 This cute headband is crocheted with a cross triple crochet stitch. This is a good way to use the yarn in your stash. 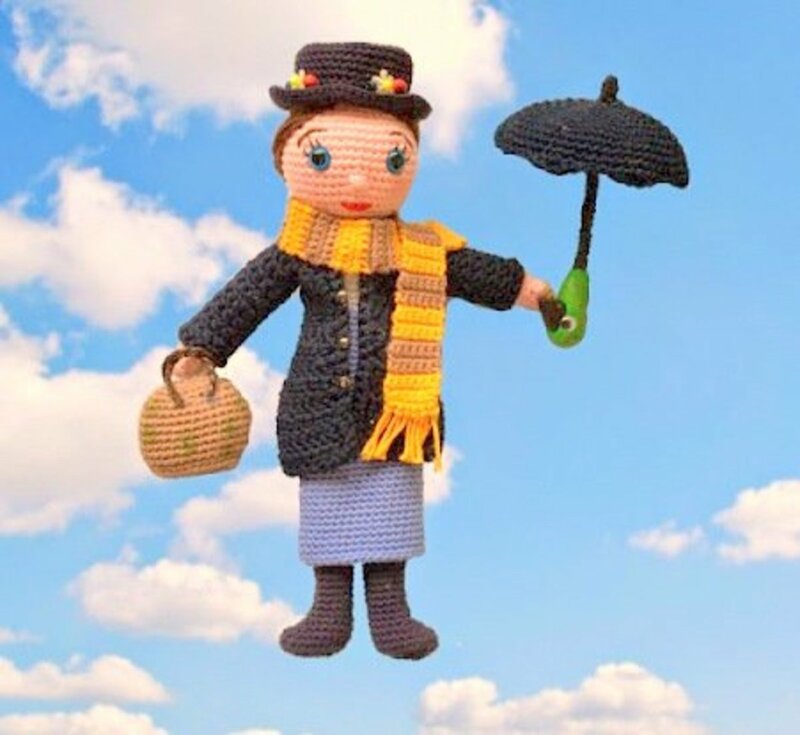 Crochet several of these for that favorite little girl in your life. It would make a quick surprise or gift. Heart Headband - Use any stash yarn and a size 5 hook to create this pretty headband. If your little one wants to wear long hair, this will help keep it out of her eyes. This would be another quick gift to create and use up the yarn you already have on hand. Helmet Pattern - Crochet and Other Stuff - This hat is crocheted with 3 colors of worsted weight yarn. It would be a great way to use some leftover yarn. The hat has ear flaps, so it will keep the little ones ears warm. Besides the yarn, you will need a size 5mm hook. Juci's Hat - The free hat pattern by Hannicraft fits toddler sizes. She is calling the stitch used an X-stitch, but it isn't. She was playing around with her crochet hooks and invented the stitch herself. Whatever the stitch is, it is beautiful. The hat looks like a flapper hat with the flower on the side. You'll need baby weight yarn and a size E hook. Just Another Sock Monkey - Crochet in Color - The pattern was created using bulky weight yarn. The hat fits 4 years to a 12 year size. If worsted weight yarn is used it will fit an infant through toddler. This warm hat has ear flaps and is as cute as can be. Lacy Sunny Baby- Bizzy Crochet - The sun hat fits sizes 4-6 months. You could use finer or heavier yarn to change the size or change hook size. You'll need sports weight yarn and a size E hook for the size in the pattern. Leaping Stripes and Blocks Beanie - Brought to you by the Moogly blog, these hats are just right for kids with the colorful yarn choices. Included are sizes from Infants to Adults. You'll need worsted weight yarn and a size J hook. Red Heart Soft yarn was used in the project. Mad Willy Hat Crochet Pattern - Red Heart - This hat is more for fun. You can use it as The Cat in the Hat, Willy Wonka, a Leprechaun or The Mad Hatter. The pattern would work great for a Halloween costume, play or a party. It is crocheted with Red Heart Super Saver yarn. 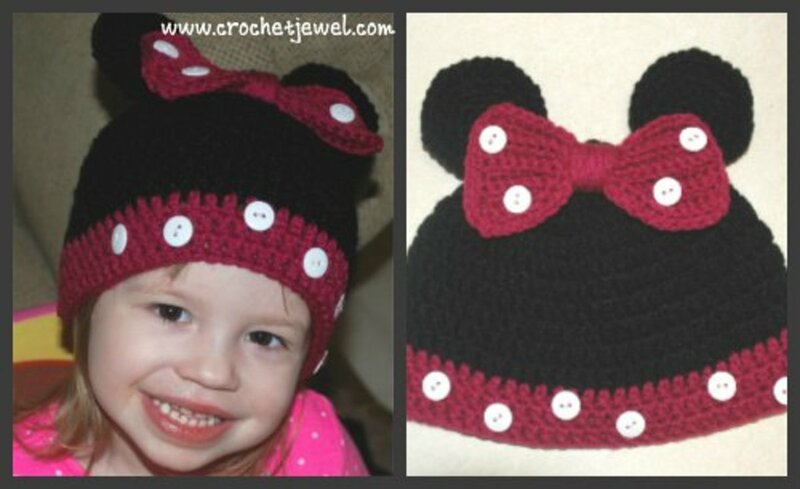 Minnie Mouse Hat - Included are patterns from Infants sizes all the way to adult patterns. If you have a young girl, this is a "must" crochet pattern. The hooks size you'll need depends on the size you'd like to create. She used Red Heart Love yarn in both black and pink. You'll need some buttons too and a yarn needle to finish it off. Mickey and Minnie - These are the cutest hats for any kid that is a Disney fan. The patterns are easy and use a worsted weight yarn and size H hook. Mountain Hat Pattern - Angels Crochet - The Mountain Hat uses 3 ounces of worsted weight yarn and a size I or J hook. Hook size is changed to crochet a larger hat. The hat has ear flaps - ties, so the pattern makes a nice warm hat. Olivia's Butterfly Hat - Vallieskids - The hat will fit a 20 1/2" in diameter head. A butterfly stitch is completed on the side of the head. She suggests adjusting head size by adding or deleting rows. 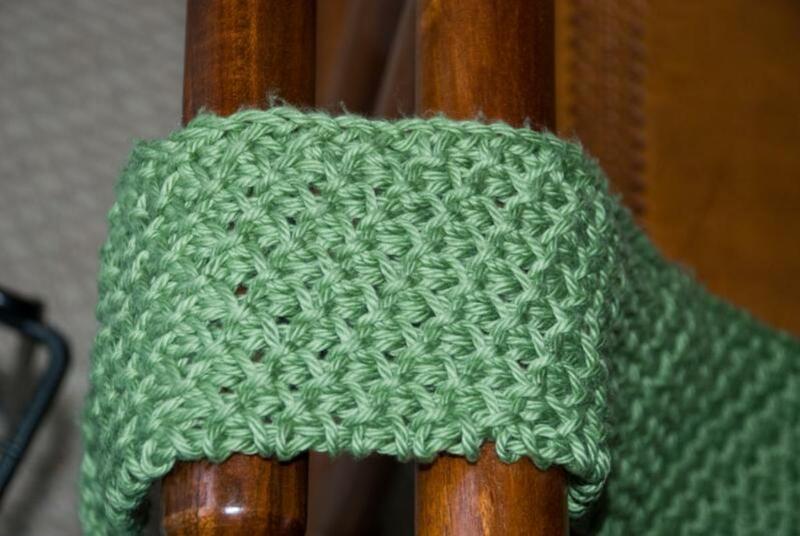 A J hook and worsted weight yarn was used. 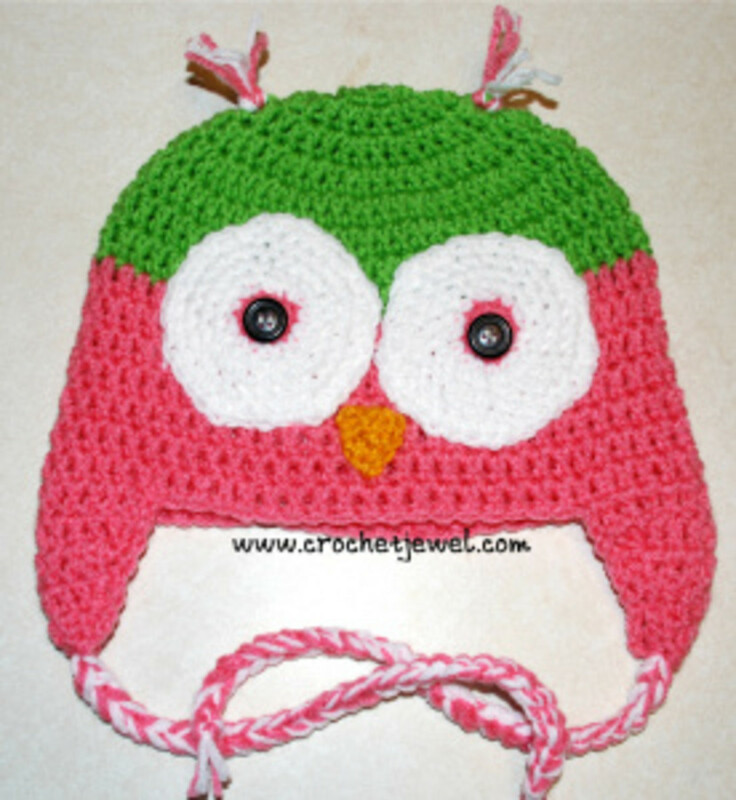 Owl Hat - You need to visit the Crochet Jewel site. She has a large collection of some of the cutest hats for children. The pattern is sized from three to six month infants all the way to adult sizes. The hat is crocheted with green, pink, and white Red Heart yarn. Princess Anna Hat - If you have a young girl that loved "Frozen", she'll also love this hat. You'll need several colors of worsted weight yarn and a size H hook to complete the project. Pineapple Baby Hat fits sizes Newborn to 3 months. You'll need baby or sports weight yarn and a size G hook. 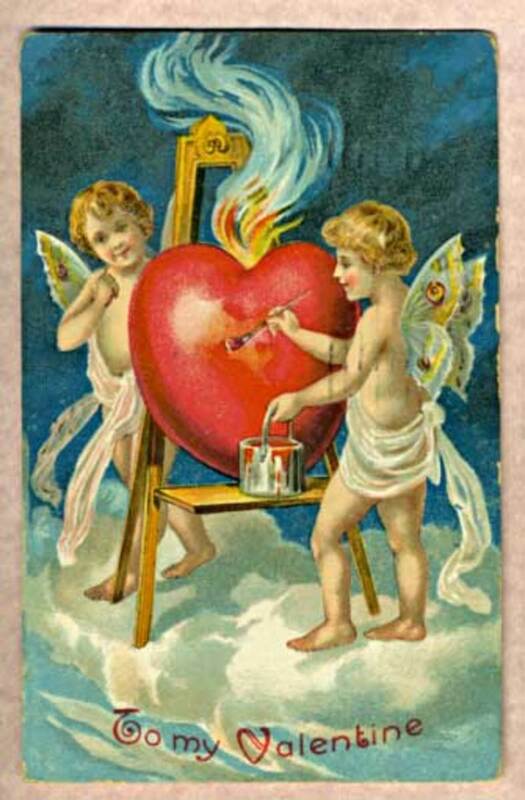 This pattern is offered by the All Crafts site. Puppy Hat Pattern is offered by the Repeat Crafter Me blog. This is the cutest hat. The puppy face is on the front of the add and the ears are added. Vanna's Choice yarn was used for the project. The pattern is worked in the round. Yoyo-Puff Wide Brim Hat For Girls- by Craft Passion - This pretty hat is sized to fit a preteen girl. The design uses DK or light worsted weight yarn. This is a pretty hat that would work well as a sunhat. RTalloni, Thanks and I hope you have fun checking them out. Thanks for putting these hat links together for us! I'm looking forward to checking each one out. A great collection - thanks! Joyfreak, Thanks for viewing the hub. I'm happy to hear that you found a hat you'd like to crochet. Amiepye, Thanks for viewing the hub. You are welcome. I'm happy you liked it. This ia fantastic thank you so much! I need to get permission from the designers and many of these don't have contact info on their sites. Eventually I'll crochet some of them myself. Why don't you post some images here? nityanandagaurang, Thanks for viewing the hub. thanks for sharing this information with hubbers.Very useful hub barbara kay. viking305, That is a wonderful idea. Too bad more places don't do that. thanks for reading and sharing with your sister. What a great article for all people who love to crochet. I will be passing these links to my sister who loves knitting and crochet. I was in a hospital waiting room the other day. They had a basket there with wool and needles in it. There were also plenty of knitted squares. The notice said that anyone could knit a square which would be used for charity. And not to worry if they were called before they finished a line as there would be others who would finish it! leann2800, You should try one of the simple hats. they are easier than you'd think. Hats were the first thing I tried after I started with afghans. Once you've crocheted one that says for the beginner, than work your ways up. Thanks for commenting. These patterns are so cute. Right now, I can only crochet blankets but I am really inspired to make one of those little hats. Thanks for sharing.